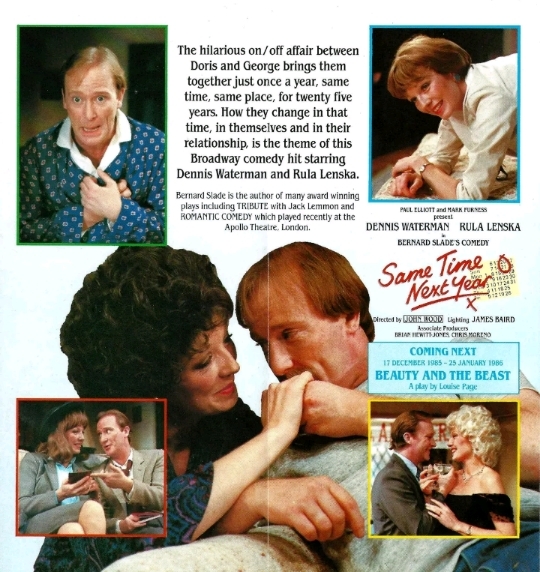 In 1983 (but may have been 1982) Dennis Waterman starred in a West end musical called Windy City. I can't recall the theatre but I took my first wife to see it. 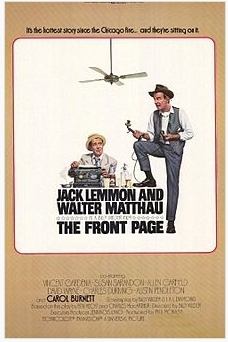 Anton Rodgers (Fresh Fields and much else) was the co-star and it was about newspaper office in Chicago. Cannot recall the plot either but I think the show was based on an old film. 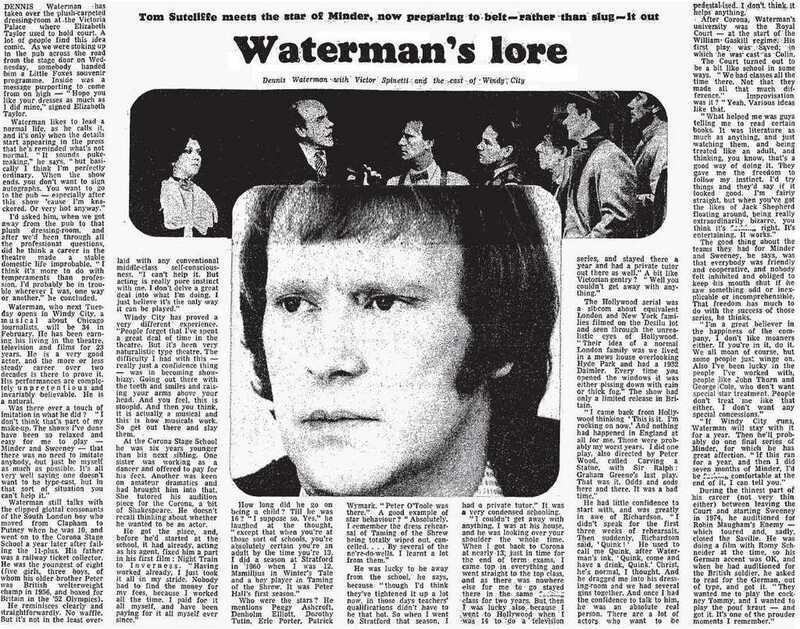 Waterman was at the height of his Minder fame at the time and I do recall thinking that his singing voice was really not good enough for a live musical. It didn't run for long but was still probably a tidy little 'earner' for DW. I do recall one scene in it where Anton Rodgers had to make an urgent phone call and when there is no answer the script called for him to say something along the lines of 'nothing is going right for me this week. He has to say it as he walks around the newspaper 'office' and just as he says the line, the cable of the telephone catches around a chair and the chair falls over. Great story as always vic. 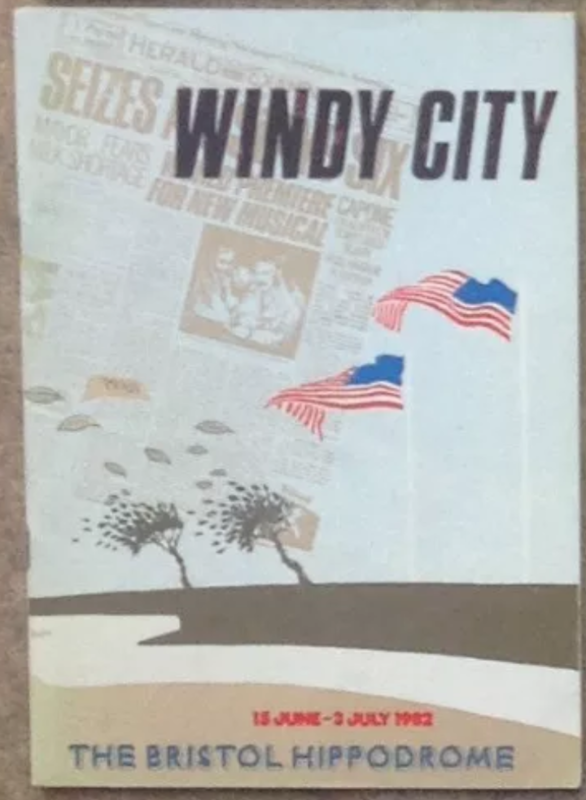 Dennis mentions 'Windy City' a bit in his 'Reminder' book. If my memory serves me correctly Anton Rodgers was supposedly a last minute replacement for (I think) Telly Savalas. Dennis says he was in torment during this period as he was now caught between lots of different women and in the press a lot. Best read the book as I am not 100% sure of the details. 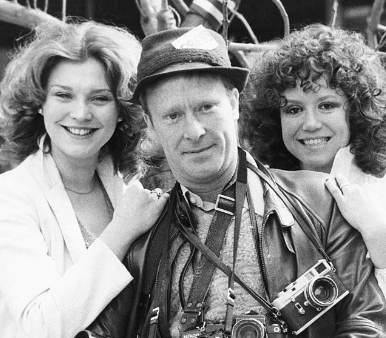 Here's a pic of Dennis with Amanda Redman and Diane Langton (she was of course in Minder's "In"). I believe (from what Dennis mentions in 'Reminder') that Dennis and Amanda Redman had a bit of a thing going on at this period. Dennis plays Hildebrand 'Hildy' Johnson, which is the Jack Lemmon part and that Telly Savalas was originally lined up to play Walter Burns, played by Walter Matthau in the film. Savalas dropped out as he believed he didn't have the vocal range and was replaced by Anton Rodgers. In 'Reminder' Dennis says he was having a minor breakdown during this period so his heart wasn't really in this, which he mentions was a shame as it was such a good production. Thanks, jno. Brought back a few memories. DW's admission that his heart wasn't really in it almost certainly explains why his vocals, in my memory at least, didn't seem quite up to the standard required for a live West End musical. The show didn't run for too long and I can recall the night I saw it how the audience were, on the whole, a bit underwhelmed by it. At a live production, or show, I think you can often sense if an audience is a bit disappointed with what they are seeing. Those who have passed comment on YouTube seem to love it but I simply don't remember it as fondly. Not hard, though, on the recording to see how DW's voice was suffering a bit. I wouldn't be surprised if the production company were prepared to tolerate Dennis' slightly inferior vocal abilities just to have him headlining their show. He was pretty much at the height of his popularity and fame at this time and would have been quite a crowd puller. I only noticed the show all those years ago because my first job from school six years previous had been as a trainee reporter. 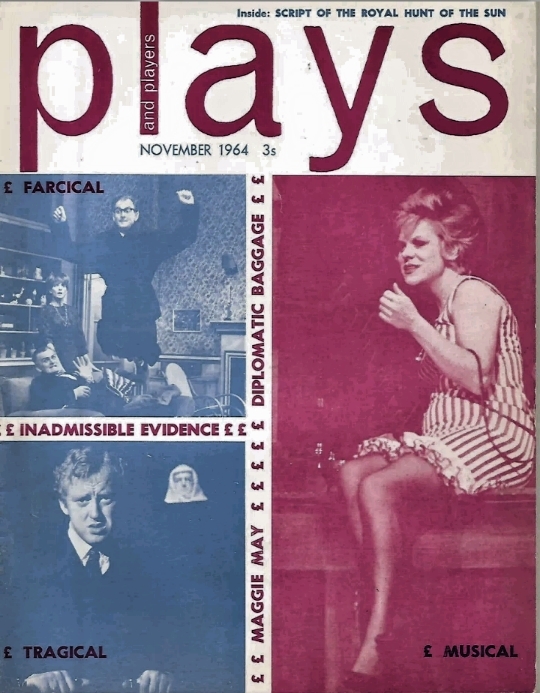 But I would not have forked out for a West end show had DW not been the main star. Even more so, my first wife (a fussy mare about EVERYTHING) would definitely not gone to see it had he not been the top man! 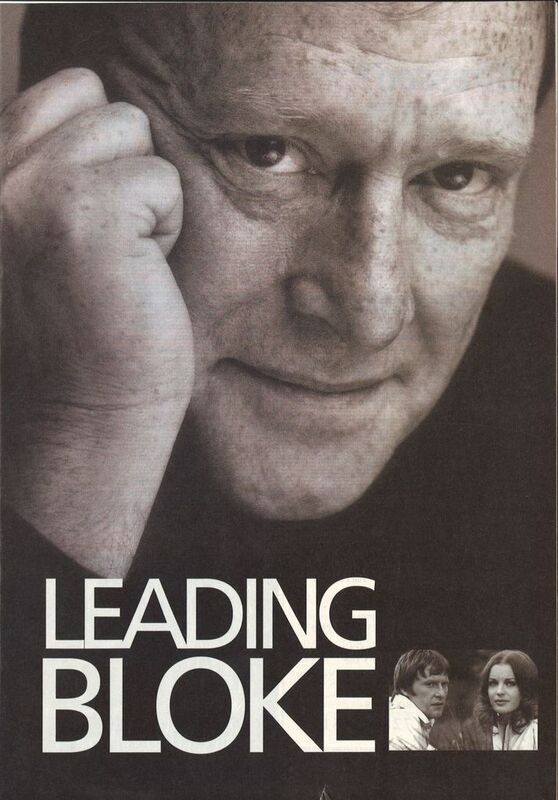 Anyway, Dennis of course was famous by that time, which makes me wonder why he starred in this. There is one single musical I also liked, but which is entirely different: Les Miserables - in the English version this is real good, starring Colm Wilkinson and our very own Alun Armstrong. Listening to them now, the Windy City songs all sound like numbers written for a musical, if you know what I mean. All very cheesy. 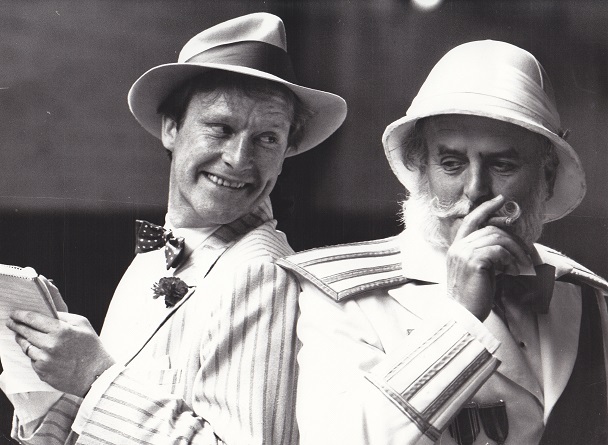 Somewhere out there, there is a picture of Dennis practising his lines for 'Windy City', pretending to be an newspaper reporter interviewing a certain George Cole in his 'Pirates of Penzance' clobber. Interview with our Dennis from The (you may need to zoom in) Guardian on 16th July 1982 - some mention of George Cole here too. 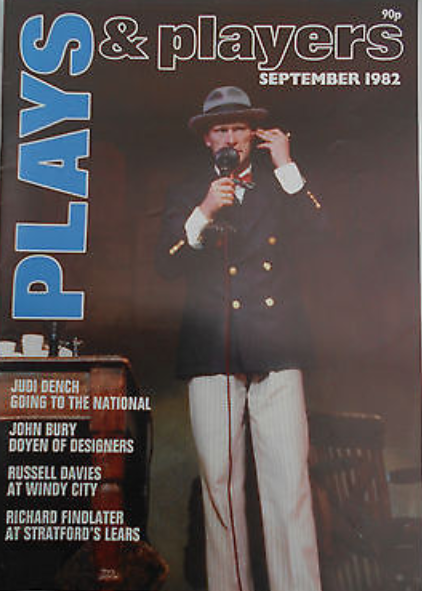 Dennis appeared in a revival of this on the stage in 2001. 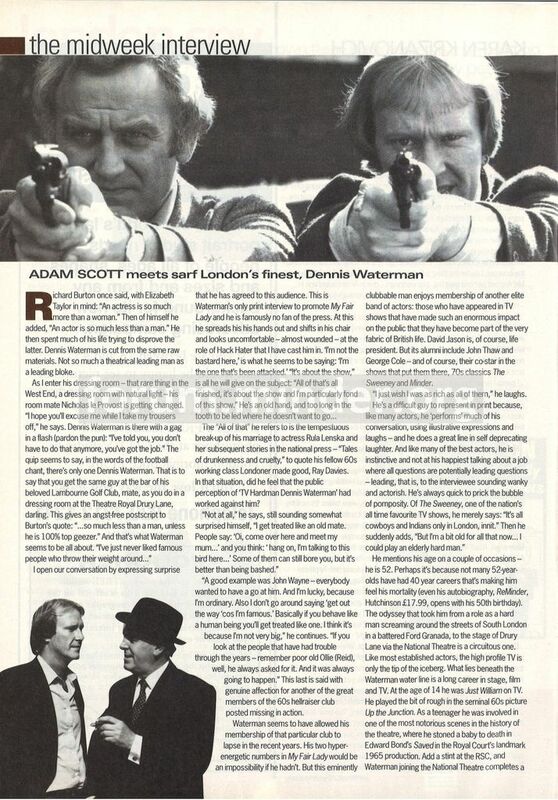 At the time he gave this interview in which he talks a little bit about Minder and The Sweeney. 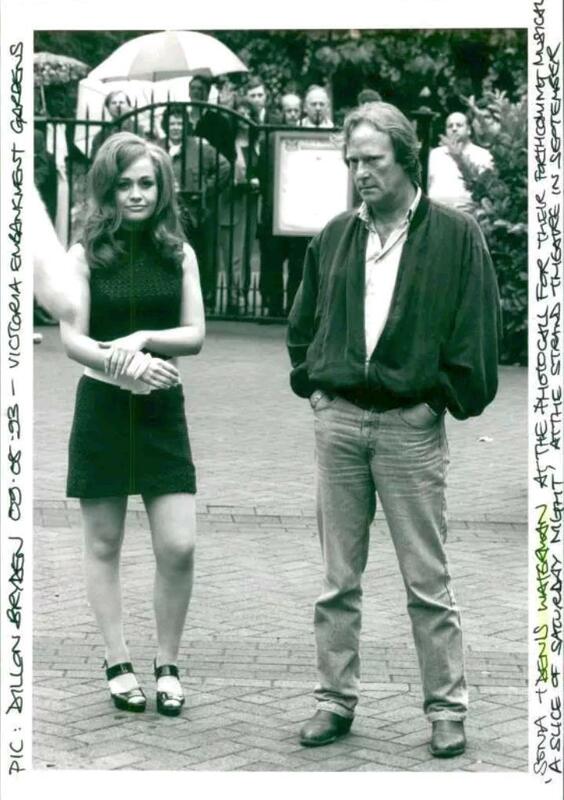 Below is a Photograph (which I obtained on eBay). Written below, the words which can be found on the back of the above Photograph. The two cockney character's who appeared in TV's 'Minder,' series met up again yesterday in slightly different circumstances, Terry - alias actor Dennis Waterman, is about to play journalist Hildy Johnson in 'Windy City' - a musical story of Chicago newspapers - which previews at the Victoria Palace on Friday, His TV Boss Arthur - actor George Cole - is six weeks into the run of The Pirates of Penzance at the Drury Lane Theatre, Both have been asked to make more episodes of 'Minder', but yesterday they were just comparing notes on their latest projects. Great pic that billy - I knew they were together at the theatre during the 'Windy City' period and there are a few other photos out there. I seem to remember reading somewhere that GC was there helping DW go through his lines. 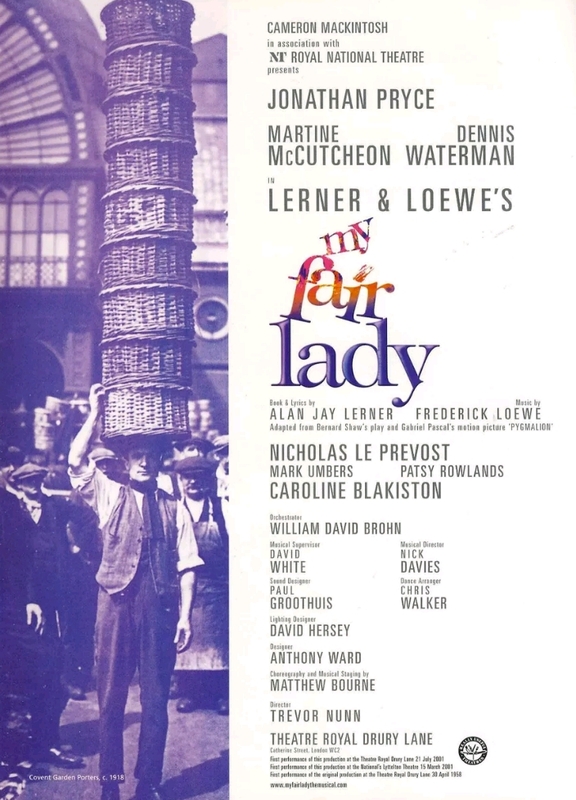 Of interest to Minder fans perhaps as this production also starred a certain Confident Clive Patrick Mower with music by a certain Denis King. 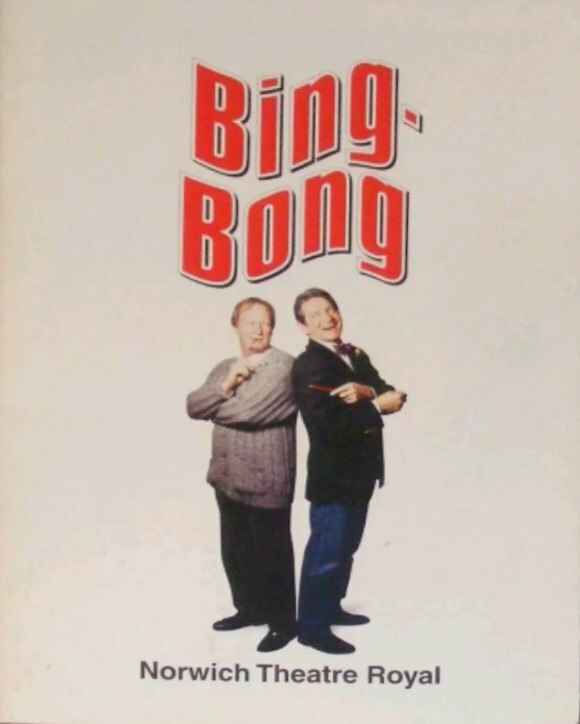 Gary Bell and Carl Banks are a TV sitcom writing partnership. In the rapidly changing world of television, however, not to mention the constant changes of comedy fashion, they are finding that continued success is increasingly hard to find. Sandra Dale is their personal assistant, a highly intelligent and independently-minded woman who has been with the partnership almost since its beginning. The three of them constantly break into routines and gags throughout the course of a day as they struggle to conjure up ideas for their next series. It is left to their agent, Max, to remind them of the harsh realities of life.. This funny, probing and poignant play is an insightful account of the pressures and pleasures of writing and performing from one of Britain's most talented comic writers. It’s fair to say he had quite a good career on the stage,some from the above info I wasn’t aware of. Most people when mentioning Dennis,refer to George carter,or Terry McCann. Straight after series 6 Minder, Dennis appeared in this. Publicity shot of Dennis and 80s pop sensation(!) 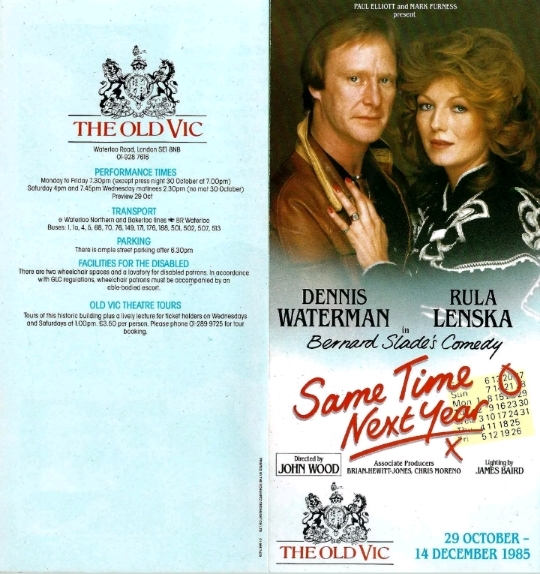 Sonia as they team up for this - a 12 week run at the West End's Strand Theatre in September 1993 for 12 weeks. Sonia looks very 1960s there. 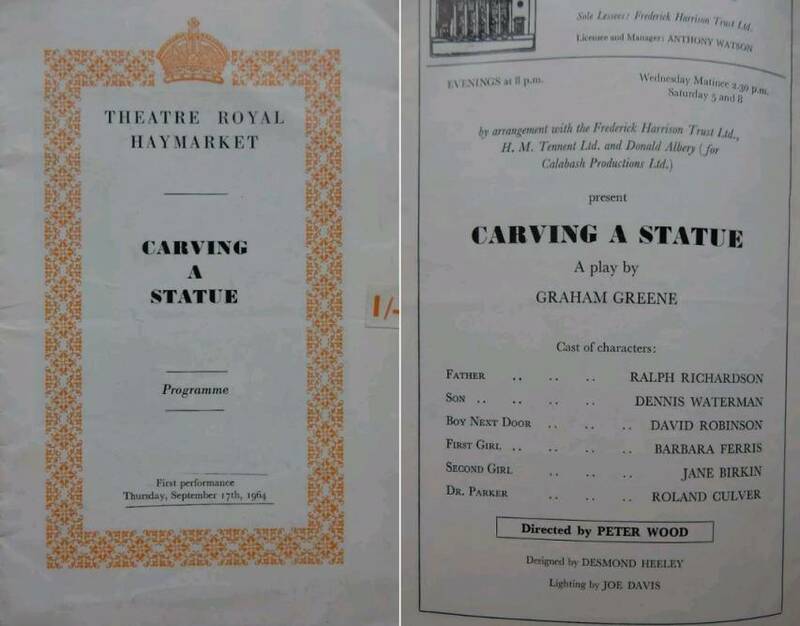 Some photos of a young Dennis alongside Ralph Richardson in this magazine, which started at the Haymarket Theatre in September 1964. 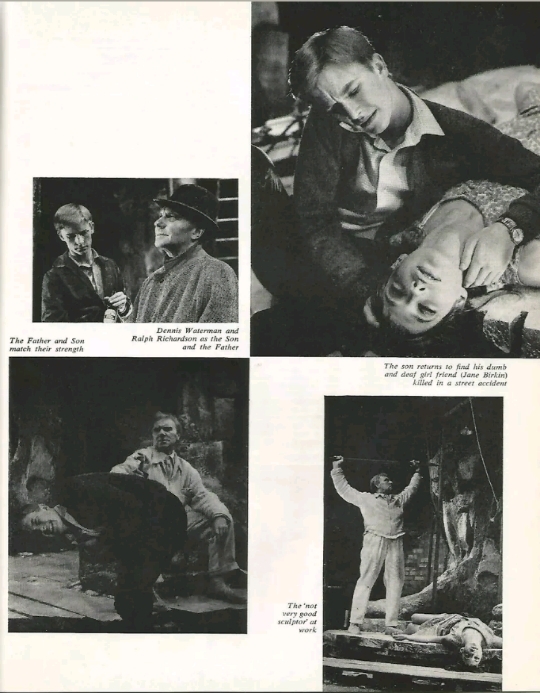 Programme from 1964's 'Carving a Statue' - Dennis Waterman is just 16 years old in this. 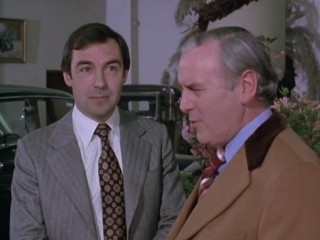 A short run only for this one with Dennis appearing alongside Minder and Sweeney actor Tony Selby. This was the theatre's final show. 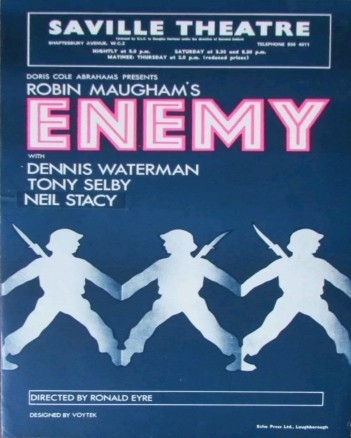 Neil Stacy, the third name on front of the programme also shows up in an uncredited part in Minder's 'The Bounty Hunter' as Mr Simpson the Rolls Royce salesman. He's probably best known for his appearance in 80s comedy 'Duty Free', albeit with moustache.